It’s been said that the purpose of the ego is to save us from anticipated future pain. When your ego dictates your actions, you’re actually sacrificing results for temporarily feeling safe in your comfort zone. This is really bad news, since it’s impossible to grow beyond your current abilities and accomplishments if you refuse to accept feelings of discomfort. Just think of any type of lesson you’ve ever taken, and it becomes instantly clear that learning a new skill is necessarily an exercise in looking temporarily inept. Get belligerent when someone challenges your view. Make unflattering mental comments about someone if they disagree with you. Blame others when an idea of yours does not work as planned. Ignore input on those (rare) occasions when you ask for it. Use “I could have if I wanted to, but I don’t want to” as a reason for not even trying to do something big (i.e., scary). Respond to many comments with, “Yes, but…”, so you don’t have to acknowledge the other person is making an excellent point. Have big ideas but rarely do more than talk about them. Insist that your excuses for inaction are legitimate reasons for not taking risks to grow yourself or your business. Make it a priority to focus on results and your bottom line, not on staying in your comfort zone. 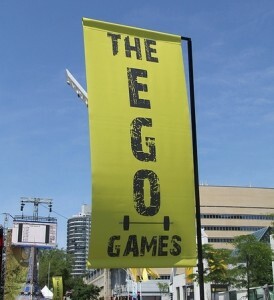 Fortunately, there are a variety of ways you can start to get your ego under control. Be willing to ask for feedback. It gives you a chance to identify potential weak spots in what you’re proposing to do. Carefully choose whom you ask for that feedback. You want to be totally confident the feedbacker has your best interests at heart. Remember that ego keeps you playing small. If you’re unwilling to push through some temporary discomfort, your inner big person will stay trapped. Is that a price you’re willing to pay? So how do you maintain a healthy self-respect while keeping your ego from running amok? How do you honor yourself and your talents without assuming you always know best? This entry was posted in personal power, productivity and tagged choice, comfort zone, courage. Bookmark the permalink. One Response to Are you sacrificing results just so you can stay in your comfort zone?